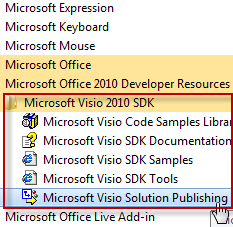 You are here: Home / Development / Download the New Visio 2010 SDK! Note that there are two versions of the SDK: one for 32-bit installations of Visio and one for 64-bit installations. 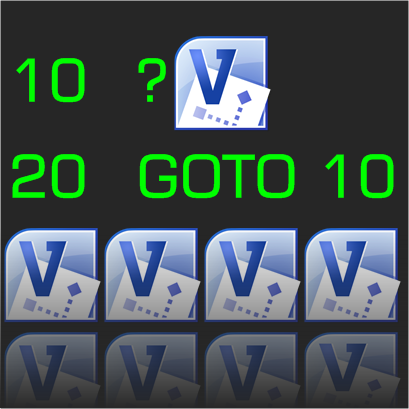 Download the one that corresponds to your version of Visio. I imagine some folks might have 64-bit Windows, but still have 32-bit Visio. In that case, my guess is that you would need the 32-bit SDK, not the 64-bit version. This is all good stuff, but the item I use the most (by far!) 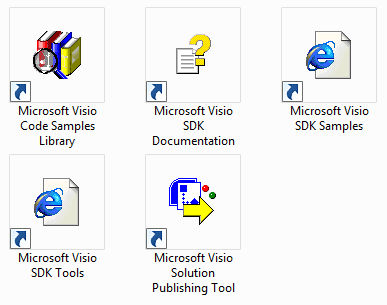 is that wonderful help file: the Microsoft Visio SDK Documentation, with the big, yellow question mark! It is full of references for every ShapeSheet function and automation call into the Visio object model that you’ll ever need, and that you’ve ever forgotten. 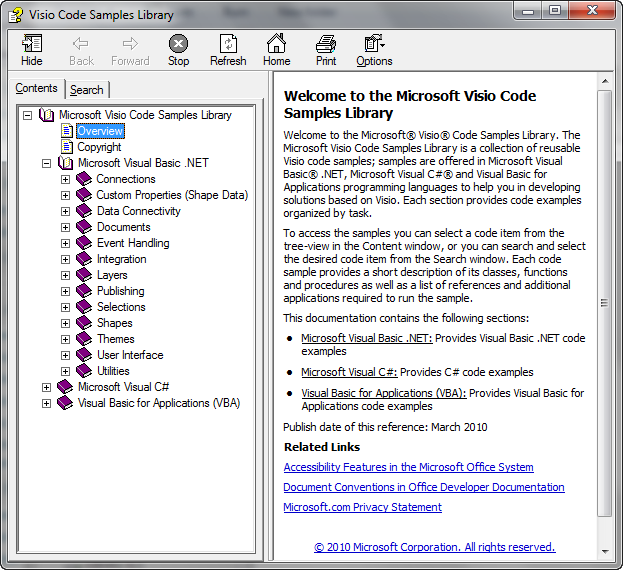 The Code Samples library also functions like a help file, and contains 86 code samples for common Visio tasks. 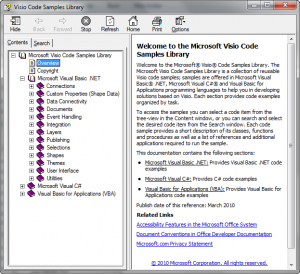 The samples are translated into three languages: VB.NET, C# and VBA. But be sure to right-click a node in the contents panel and choose Open All. This will expand all of the sub-tree nodes for every code sample available and allow you to quickly browse all of the offerings in this great database of code samples! I am waiting for a new “Developing Visio Solutions”. 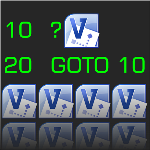 That could revive my interest in Visio. I cannot get the Timelines tab to display after selecting a Timelines templates. I tried going to Add Ons>>* Wizard and that wouldn’t run. What can I do? I figured out how to activate Timelines! I had to enable all the macro settings in Trusted Center Settings>>Active X and Macro Settings. Now they are all showing as needed. Even Run Add-ONs is working. WooHoo. Good job, Kendall! Glad you figured out how to get it to work, and thanks for sharing how you did it! Thanks for providing this basic information. Apparently it’s far too simple for MS to bother with. I’m getting back into Visio, but forgot how to set up Visio to open a set of pre-selected templates each time I create a new drawing.